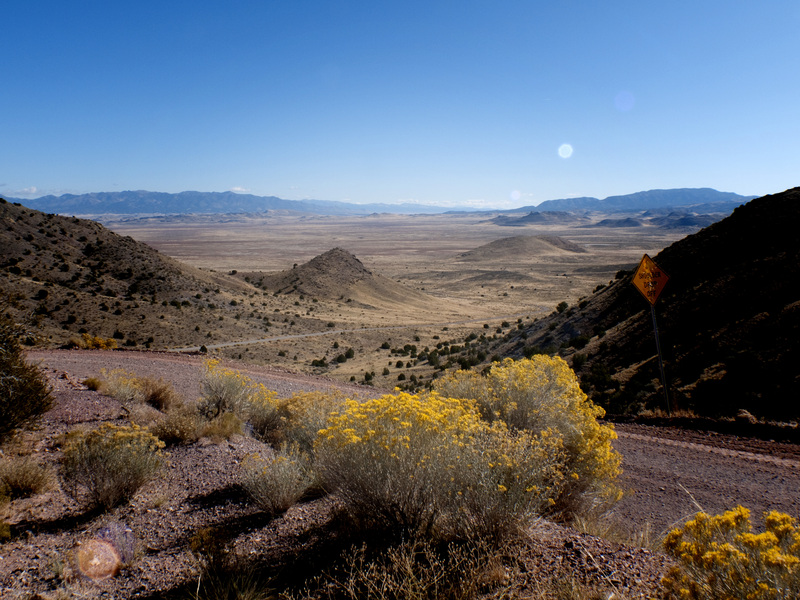 Defined on the west by Reno, Nevada and on the east by Salt Lake City, Utah, the Great Basin stretches across five hundred miles of sparsely inhabited and convoluted land. The mountain ranges run north and south, as do the basins between them. This forces travelers to ascend numerous passes and cross equally numerous scrubby flatlands. The Lincoln Highway faced this dilemma head on. The 1913 alignment struggled over steep and high passes and waded through the sand/mud of the flats. This is the highway I set out to discover and drive on. I recently completed a 1500 mile survey of the route with camera and pencil in hand, guided by the comprehensive “Lincoln Highway: Nevada” and “The Lincoln Highway: Utah” by Gregory M. Franzwa and Jessee G. Petersen. These books are expensive but incredibly well researched and should be in your travel library. In addition I consulted Google Earth and Google Maps, BLM maps, and state highway maps. For the Verdi (west) end of the trip I also referred to “To Donner Pass from the Pacific” by Jack E. Duncan, an equally well researched volume on the early wagon and motor routes through the Sierra Nevada Range. Note: this book is available from the Golden Drift Museum in Dutch Flat, CA or Donner Summit Museum near Truckee, CA. To see and drive upon as much of the 1913 LHW as possible, to photograph that which catches my eye, and to mark coordinates for fellow travelers. To provide travel notes, recommendations, and some serious safety information. I got in trouble because I didn’t heed some professional advice – you shouldn’t have to. 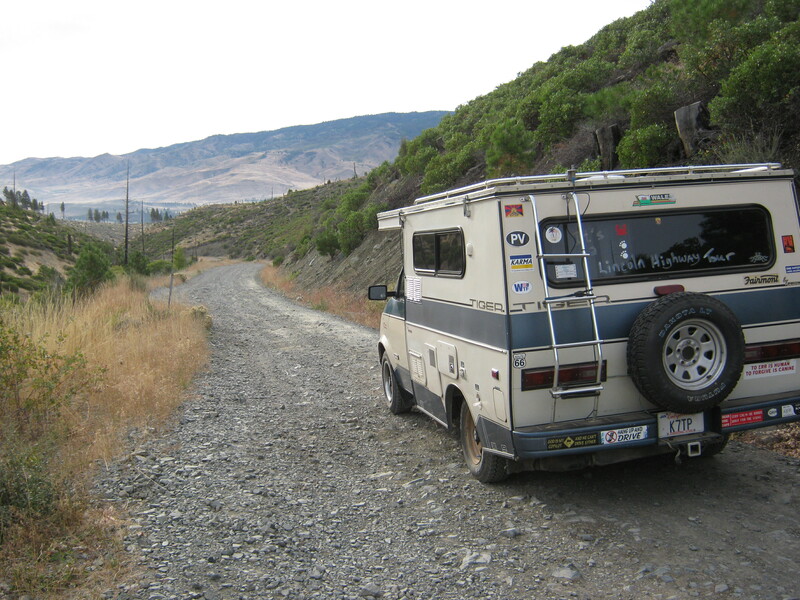 The Beasleymobile, a 1989 Tiger van conversion on an Astrovan chassis, nicely equipped with kitchen, bathroom, a pop-top, and oodles of radio gear (I’m a ham radio operator – K7TP). My usual traveling buddy, well behaved, doesn’t say much but listens well. 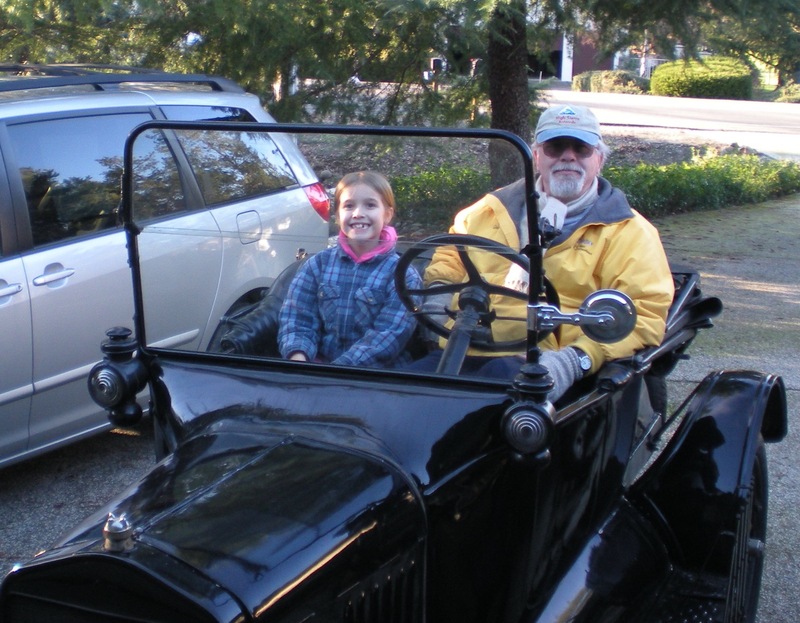 The 1919 Model T with Myself and Granddaughter, Natalie. 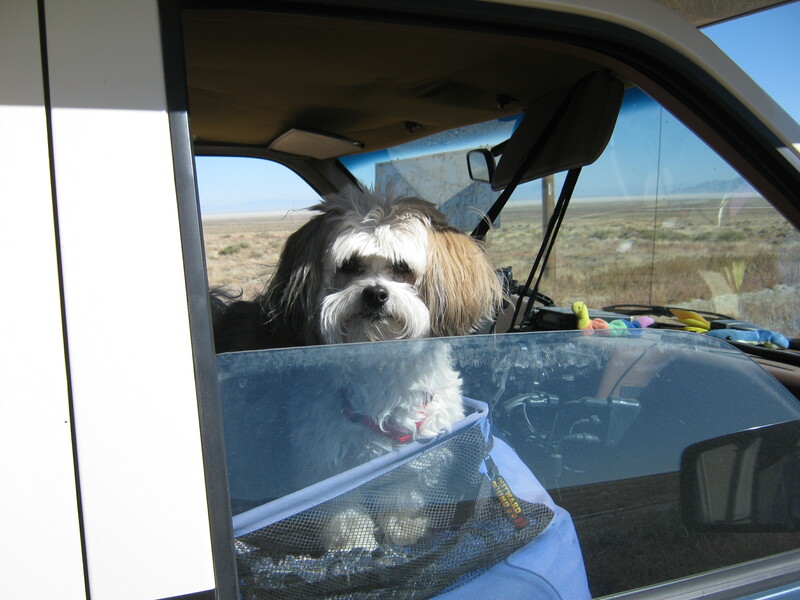 Me, P. Grover Cleveland, in the vehicle I hope to repeat this trip with. I’ll have more to say about this in the future. 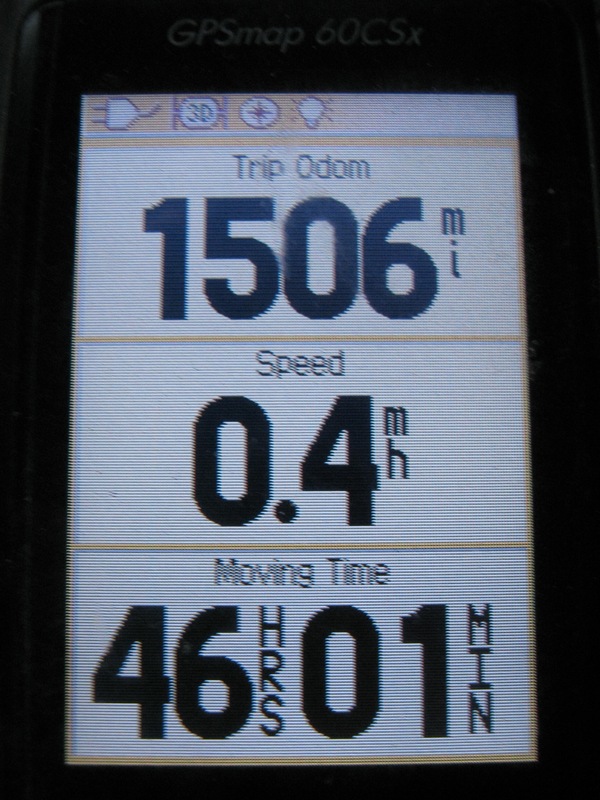 Photographs, trip advice, gps coordinates, recommendations, notes. You’ll also have to read through some travel philosophy, not from me, but from respected authors. This entry was posted in Lincoln Highway and tagged Lincoln Highway, Travel. Bookmark the permalink. I just wanted to express my appreciation for your blog. Gives me some traveling ideas when I get a car that can actually go over some of the roads. I just wanted to express my appreciation for your blog. I tried to drive on the Henness Pass Road in February and turned around because it was a little bumpy for my Subaru Imprezza. I really can not wait to try some of these roads some day, and your blog gives me an idea of what to expect. Thanks!